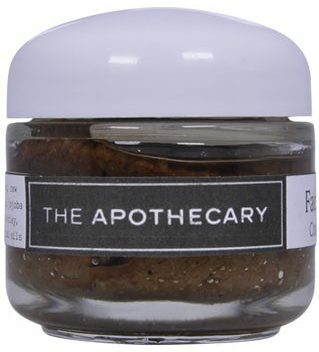 This range is created to nourish and rejuvenate the delicate skin of the face. All the ingredients used here are extremely gentle yet intensively nurturing, and are chosen to support and encourage your skin’s natural ability to regenerate and find balance. This gentle polish with the delicious fragrance of cinnamon biscuits, pampers and protects all skins, especially drier or more mature skin. It fights blemishes, helps plump up fine lines, smoothes, heals and protects. 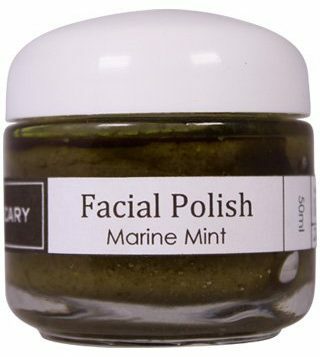 A fresh facial polish which is excellent for all skin, particularly dull, oilier or clogged skin. It brightens, soothes and cools the skin and the dose of added nutrients from seaweed and grasses provides a nourishing boost. This carefully crafted blend of prized carrier oils and selected essential oils is an excellent day oil, or for use both day and night by those with oilier, younger, combination, or acne-prone skin. 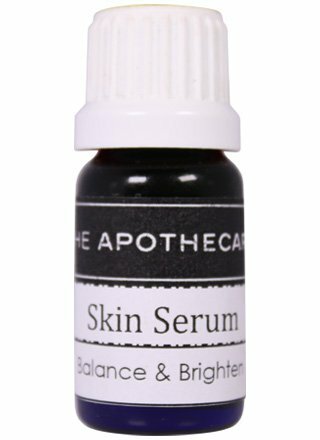 The Serum promotes healing, moisturises, nourishes and protects while encouraging your skin’s own natural processes. It absorbs for a silky finish without clogging pores. Apply a few drops in the morning (or morning and night for younger/oilier skin), especially at times of season change. This carefully crafted blend of prized carrier oils and selected essential oils is an excellent night oil, or for use both day and night for those with drier, more mature or damaged skin. 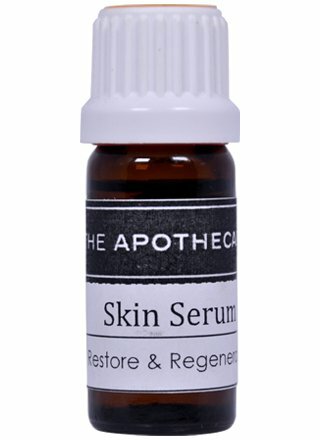 The Serum promotes healing, moisturises, nourishes and protects while encouraging your skin’s own natural processes. It absorbs for a silky finish without clogging pores. Apply a few drops at night (or morning and night for more mature/drier skin), especially at times of season change. These handy roll-ons combat common skin problems in targeted areas. 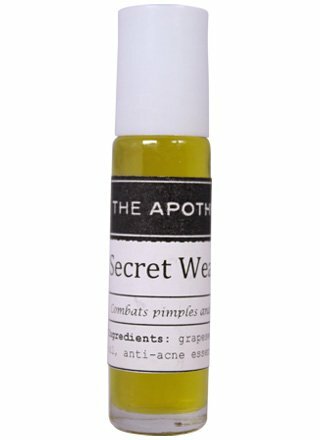 Secret Weapon 1 fights pimples and blackheads. Bacteria busting essential oils combine with light carrier oils that boost the health of your skin. It soothes, heals, balances, disinfects and reduces inflammation. Apply to problem areas as often as desired. Secret Weapon 2 combats scars. Healing, regenerative essential oils infuse a blend of restorative rosehip and nourishing jojoba to promotes regeneration, soothe, heal and restore smoothness.